MESA provides predefined workspaces for all Source Engine games. These Workspaces are located in %MESADIR%/PROJECTS/. This directory is the environment variable GAME_PROJECT_SRC which is defined in the batch file. 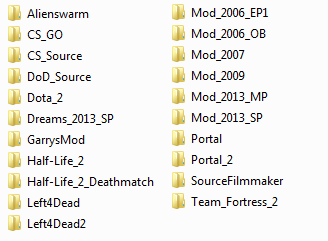 which is used as the C:\MYMOD directory that is proposed by the SDK launcher,when you create a new mod. The active project in MAYA must to point on this directory, if you don’t know how, please read the next link. A Sample Maya Scene into the SCENES directory. The SMD and the qc scripts files into MODELSRC directory. The Texture with the TGA format file into MATERIALSRC directory. The project_name.bat that Set the environment variables on that project directory. Here the Project set the the Binary tools where the SDK tools are stored. 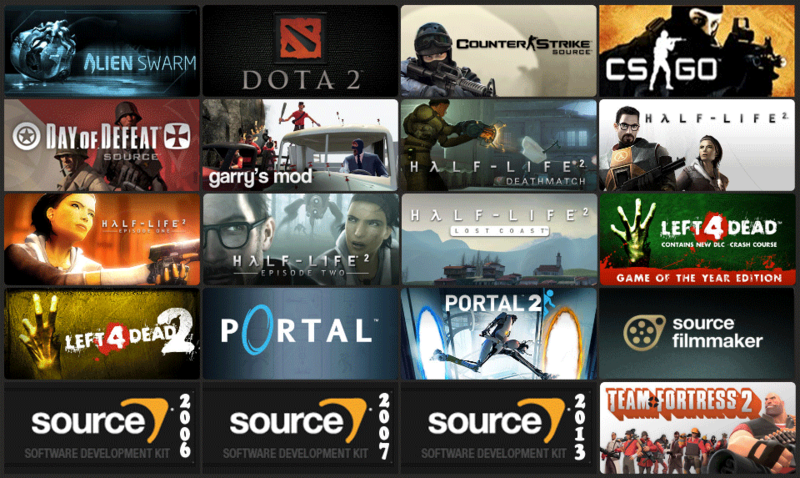 Here the Source SDK base 2013 Singleplayer is in use. Important : DO NOT edit that line. echo "Set Bin directory path, where Studiomdl.exe and "vtex.exe" are located." SET SOURCE_BIN_PATH=""%STEAMDIR%\steamapps\common\Source SDK Base 2013 Singleplayer\bin"
echo Set the Game Project Directory, it must be the same path than VPROJECT. echo ...  [MOD_DIRECTORY] ! YOU MUST EDIT THIS 'PATH' ! echo Maya Project Workspace directory. For MESA specifies the name of the project that you are currently working with and is displayed on the Path tab of the exporter panel. You will have to enter the name of your project here. To be sure that the VPROJECT be defined on the project you are working in Maya, the VPROJECT is redefined. It is convenient because the SDK Launcher is in the process of being completely removed.